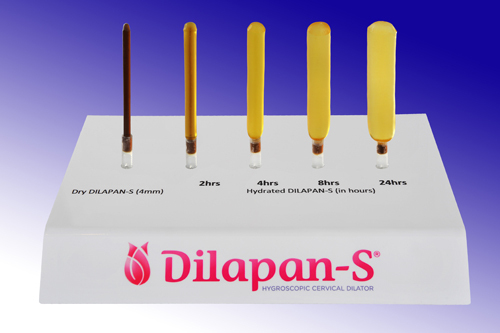 Dilapan-S is a medical device – ostomic, hygroscopic dilatator, consisting by the patented hydrogel AQUACRYL. It is intended for cervix dilatation and is administered only by specialists – obstetrics & gynecologists. Main indications of Dilapan-S are: induction of labor, surgical abortion and all procedures in the uterine cavity requiring dilatation. The benefit of Dilapan-S usage has been proven by many randomized clinical trials. You can find information about them on web: www.dilapan.com. Medical device Dilapan-S is manufactured by Czech company Medicem in European Union and meets all requirements of EU for quality and is in compliance with the Eurodirective for medical devices. Dilapan-S possed CE mark and the manufacturer Medicem – GMP and ISO certificates. Sufficiently prepared birth canal is an important prerequisite for a successful vaginal delivery, cervical dilation precedes many instrumentations of the uterine cavity, it enables easier embryo transfer during assisted reproduction and facilitates insertion or removal of intrauterine device. It is a natural and painless method of cervix dilatation preceding surgical abortion. All of these procedures can be succesfully supported by DILAPAN-S®. The rigid hygroscopic rod absorbs fluids in the uterine cervical canal, gradually increases its volume and dilates the cervix. After 4 to 6 hours, the 3 mm rod will have expanded to 8.3–10 mm and the 4 mm rod up to 10–12.5 mm. Simultaneously, Dilapan-S initiates endogenous prostaglandin release causing collagen degradation and ripening of the cervix. Patented hydrogel AQUACRYL guarantees consistency and predictability of action. It contains no pharmaceutically active substances that would be released during its application. The dilatation process happens via absolutely natural way, even slowly, but predictably. Means that Dilapan-S can be administered in the morning and the procedure can be planned for afternoon or Dilapan-S can be put in the evening and the procedure planned for next morning. 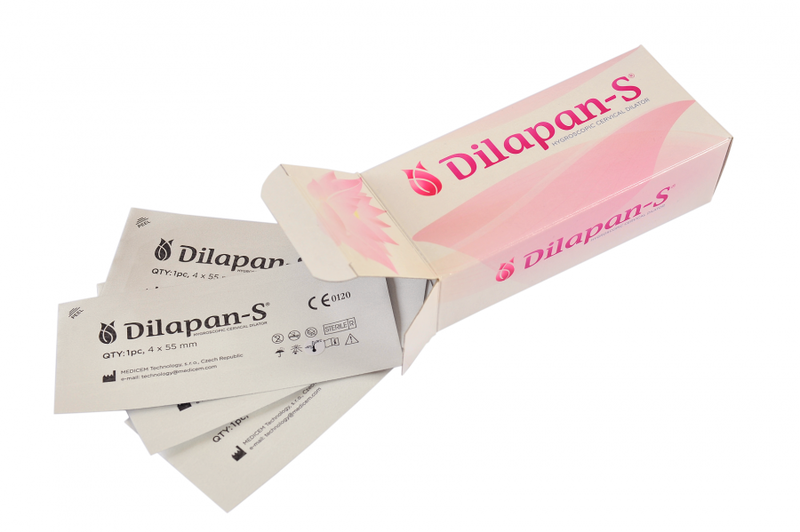 Dilapan-S can be bought and delivered to your medical practice or hospital from wholesaler Novus. Request form. Please, read carefully the user information in the package before usage. Dilapan-S is not reimbursed by the National Health Fund. Please, send a price request to Novus. Request form.